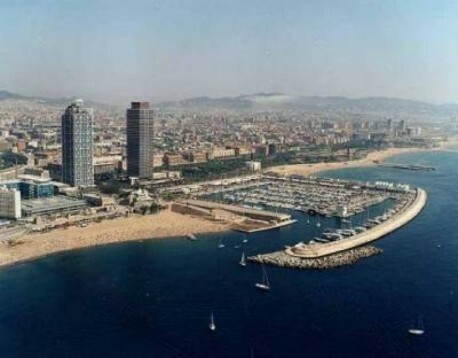 This is the best occasion to enjoy Barcelona with the company of that special person. 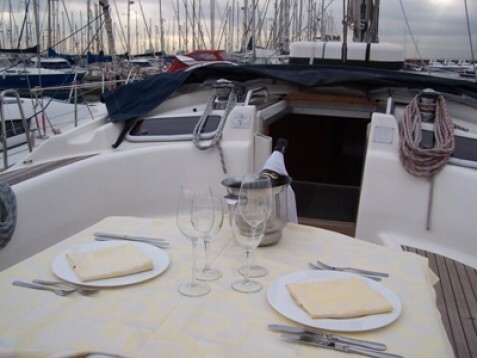 Sailing&dinner for two in a luxurious ship where you could live magical moments. 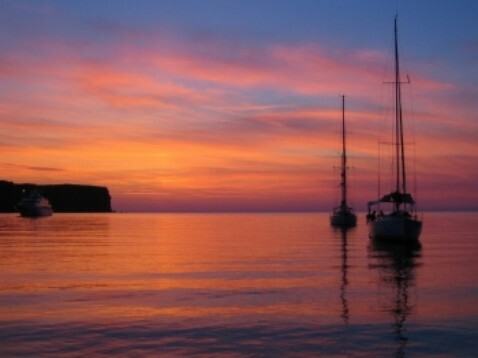 The best sailing gift in Spain, from Golden Moments Experience Hunters! 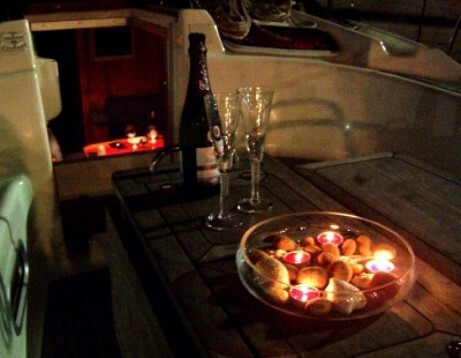 Have you ever though about taking your couple aback with a romantic dinner&sailing journey? Here's your opportunity...it could be the perfect surprise! An exclusive experience for couples where you could feel in heaven with the person you love...or just enjoy it with a friend,with your mum...it's up to you! 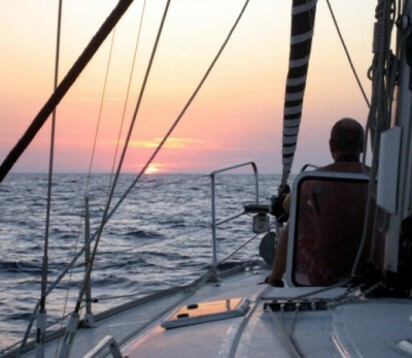 The sailing experience starts with 2hours of sailing around the Mediterranean sea. 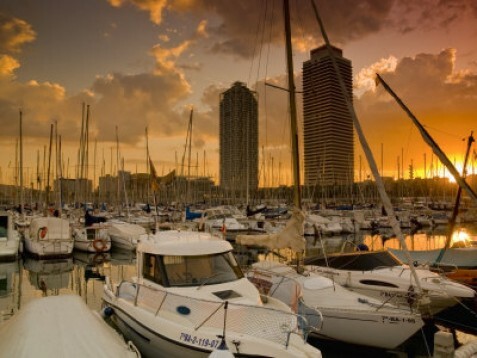 You will enjoy the beauty of the coastline and you will contemplate the charm of Barcelona from the sea. After that, you will have a short time to go for a walk through the harbour and then a romantic and high-quality dinner will be prepared inside the ship. Weather conditions (especially sea&wind conditions) may affect to the experience. In that case, the experience will be cancelled and re-booked for any other day. Anyway, it's very strange to cancel this experience due to weather conditions thanks to the good weather we have in Barcelona in every single season. The romantic evening will last around 4hours ,from 19h to 23h. 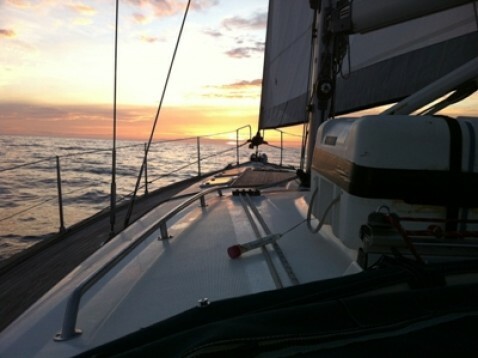 It includes saling around and the romantic dinner, once the ship will be in the harbour. This experience is designed for two people, and it's perfect for couples. Spectators are not allowed while taking part in this experience. Special dress code is not required. Just feel free to wear what you think that it's more suitable for a romantic day with your companion. It's necessary to book in advance (3 days minimum) if you want to guarantee the availability. 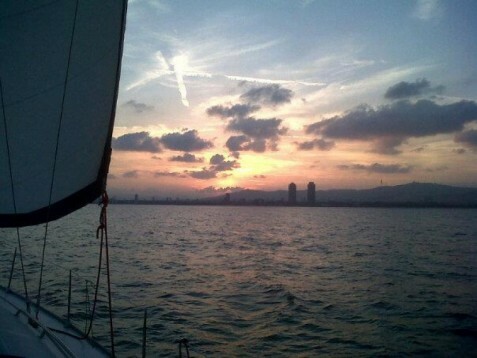 Heeft u hulp nodig met dit cadeau, Sailing&romantic dinner in Barcelona?